You’ve taken it upon yourself to get back in shape, but with all of the trainers out there, how do you choose who to go with? You’ve taken it upon yourself to get back in shape, and all you need is a little bit of guidance, coaching, and some encouragement: a personal trainer. But with all of the trainers out there, how do you choose who to go with? This is an important decision that should not be taken lightly, or made carelessly. After all, you’re putting your physical health and well being in another person’s hands. Below is a guide for things to look for when selecting the right fit to get fit. First of all, you’re going to want someone that has the proper credentials and qualifications. Pretend you’re an employer looking to hire the ideal candidate for a position. Individuals with undergraduate degrees in a related field (exercise science, kinesiology, health science related field) are going to be your best starting point. They’ve had to go through 4 years of exams on everything related to this stuff, and they’ve proven competent through their coursework to earn a degree in it. That’s a good place to start. In addition to looking for trainers with an educational background, you’ll want to look for trainers that have some sort of an advanced degree or certification that more specifically deals with personal training. A certification from the NSCA or NASM are the top two to look for. These are the most recognized organizations in the fitness industry and their requirements for earning a certification are the most stringent- if your trainer has earned a certification from one of them, you can be sure he or she knows their stuff. But just because someone can learn in the classroom doesn’t necessarily mean that they’re able to apply that knowledge for your benefit. This is why it’s important to take into consideration all of the elements in this article. 2) How experienced are they? An experienced trainer will have a leg up on their inexperienced counterpart for multiple reasons. Using their experience from working with clients of all different ages, fitness levels, and injury histories, they’ll be able to assess your current state and design a safe program that will highlight your strengths, improve your weaknesses, and continually challenge your body, ensuring consistent and gradual improvement. The last thing you want is an injury resulting from being worked at a level that your body isn’t prepared for. 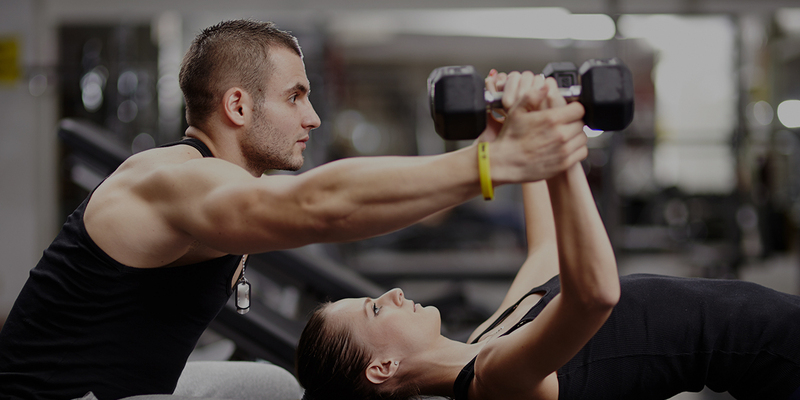 In addition to designing a safe program, an experienced trainer will have a keen understanding on proper exercise form, and thus will know how to instruct, as well as correct their client on using good exercise technique. This will help to mitigate the risk of injury while maximizing potential for gains in strength, flexibility, and balance. 3) Do they get results for their other clients? So you’ve found a few trainers with a solid background in an exercise science related field and possess an adequate amount of experience. What now? How should you differentiate? Once again, think of yourself as an HR Director- you have some candidates that are very qualified to do the job, but who might perform better? Your best bet would be looking at some reviews. Check for things such as: are they reliable? You have a busy schedule, and you want to make sure you hire someone that’s accountable, because you’re relying on them for your personal health. Are they attentive? Everyone has their own individual needs and concerns, and you’re going to want someone that knows how to listen and can offer proper advice. You want to find a trainer that is genuinely interested in helping you set and meet your goals, and doesn’t just see you as a dollar sign. After all, they are YOUR goals. You’ve done your research and are comfortable with them to the point that you would like to meet them. One of the big mental hurdles you’ve probably thought about at this point is, will I actually like this person? Your trainer isn’t just there to put you through exercises- the good ones will serve as motivators, mentors, and will be a therapist for you to some degree. It’s called personal training for a reason. Your relationship with them will be intimate and you need to be comfortable enough with them that you can share some of your biggest concerns about health, fitness, or just what you’re struggling with on a day-to-day basis. Keeping that in mind, you’ll want to look to someone that is friendly, easy-going, and relatable. You want to look for someone that you could see yourself actually being friends with. Think of it like this- are you more likely to take advice from somebody that you like and know cares about your health and personal happiness, or some complete stranger? If the trainer gives good workouts but you dread seeing them because they’re an awful person, it’s going to be hard for you to clear some important mental and emotional hurdles that are fundamental to developing a good relationship with your trainer, ensuring a long term and successful relationship. 5) Do they look the part? Another concern that could be brought up here is do they look the part? How can you really trust someone to get you in shape if they look like they participate in hot dog eating contests…for fun. How can you expect them to get you in shape if they themselves can’t stay fit? A trainer that looks the part most likely knows the struggles that you will have to go through: dieting, pushing yourself, etc. You want someone that practices what they preach- motivation is going to be a big part of this relationship, and a trainer that really believes in what he teaches is going to make it that much easier for a client to stick with it. 6) Do the benefits you’re getting seem in line with the cost? One of the most important things to understand when making a decision on hiring a personal trainer is that this is most likely a lifestyle change for you. Sure, working out is great, but that’s only one piece of the puzzle when it comes to achieving whatever your goals are. So you’ll want to look for someone that can and understands how to help, and does so at a reasonable rate. Working out alone isn’t going to make you look like a model. Do they have any background in nutrition? And do they use this background to help you through a diet plan, or nutritional advice/ counseling? One way to find this out is by paying attention to what kinds of question they ask you. The term “change psychology” is a good way to look at it- you have certain things in your life that are probably holding you back, which is why you hired the trainer in the first place. A great trainer will be able to ask the right questions to figure out what is holding you back, and design some ways to help you clear these hurdles. They’ll provide some easy tips and advice that you can use when they aren’t there. That’s the real implied benefit of a trainer- they’re able to push you during that hour session a few times a week, but more importantly, it they are able to get you thinking in a different way when you aren’t with them the other 23 hours of the day. You will see results you didn’t think were imaginable and feel and look better than you ever have. That’s why you’re paying for their help. Don’t forget that.